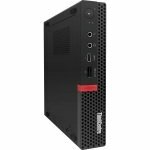 From entry level PCs to high-performance multimedia machines, Lenovo make a desktop for everyone; whether you are a home, academic, or business user. 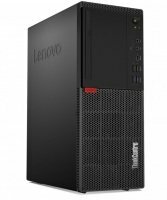 Lenovo have built up a great reputation for producing reliable tech and their PCs enjoy an extended lifecycle making them outstanding value for money. But reliability is backed by performance with fast Intel processors providing the power needed to run all your applications, programmes, and software. With options on processor speed, installed memory, and hard drive type there is sure to be a Lenovo desktop to suit you. 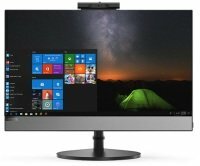 One of the issues many of us find with desktop PCs is their size. Especially if we have a small room or limited space in the office. 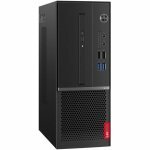 Fortunately, Lenovo PCs are available from Ebuyer in different sizes ranging from the traditional tower to ultra-small form factors. So whatever the space, or lack of it, you have there will be a machine on this page which is the ideal fit.